“One more step along the world I go” – Sydney Carter. Like a kid dreaming of backpacking the world for just a short while. All these amazing places to check out. 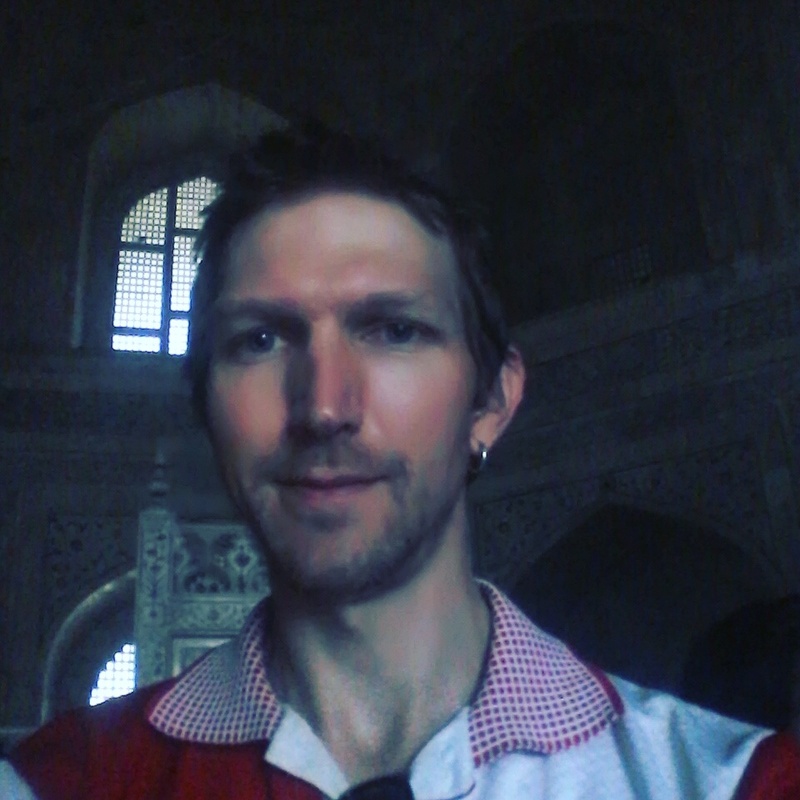 Some over-hyped, some over-backpacked for sure and then as if by complete chance, I ended up in the city of Agra to celebrate my 800th different town or city on the journey. Again, this was total chance and unplanned. If you follow my travels, you’ll probably know I don’t normally write about or rave about common or popular places. They’re over-done and often work wonders for insomnia. The thing is – the Taj Mahal is very common and very popular. Initially I was going to avoid it. 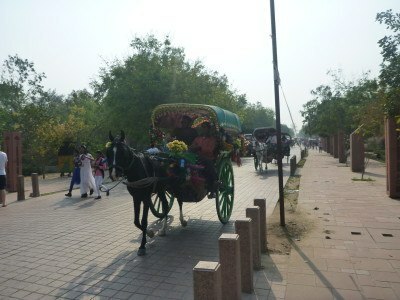 But India had been intense and with just five days left in the country, I found myself in Vrindavan for Holifest. 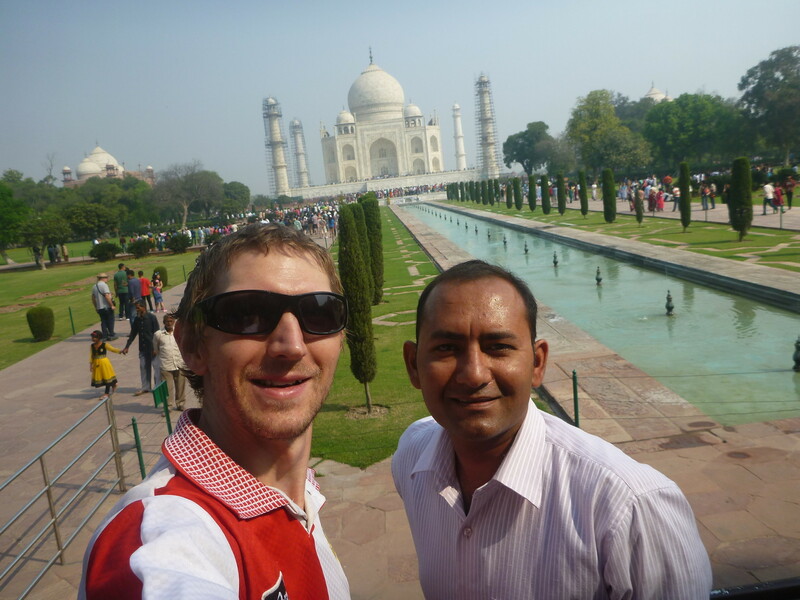 Vrindavan is only 45 minutes from Agra by train and a few hours from New Delhi, so the natural decision was made. 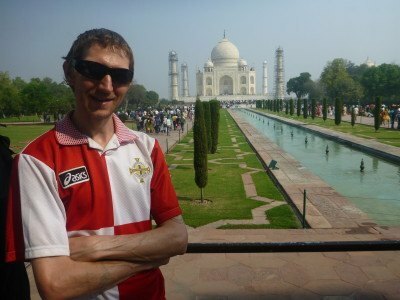 Let’s just do the Taj Mahal for city 800! And why not? 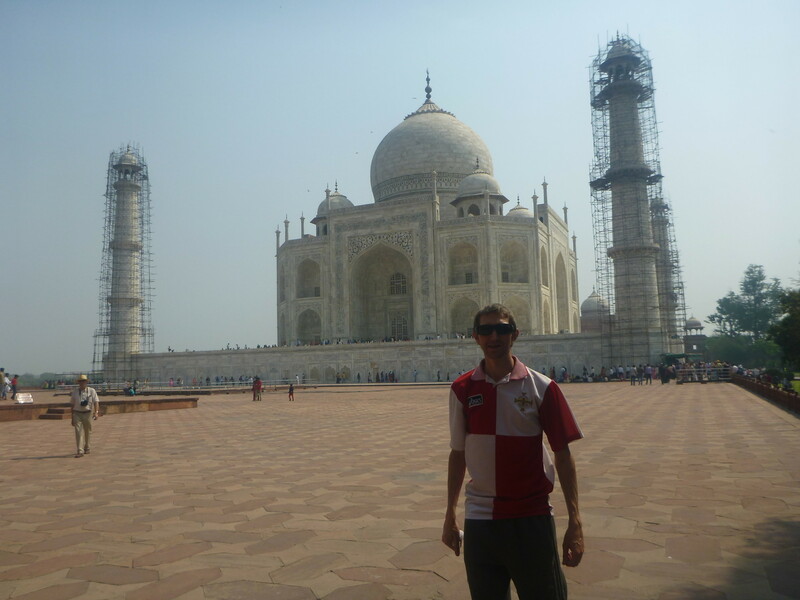 I got in touch with an excellent tour company called Delhi Magic and toured the sights of Agra with them. My guide was Akshay and first up we toured the Taj Mahal. before heading on a tour of Agra Fort. My guide Akshay met me at the Big Brother Hostel at 9 am and off we went. I was staying in the nearest hostel in the world to the Taj Mahal, so it was only a cool 10 minute walk to the entrance. Akshay already had my ticket for the Taj Mahal, which you buy at the ticket office about a kilometre from the actual entrance. 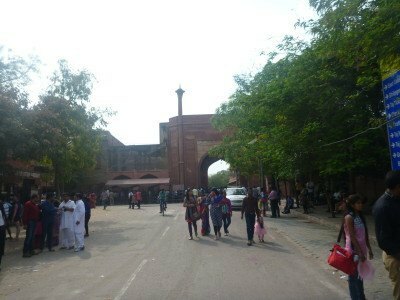 We were entering through the East Gate. 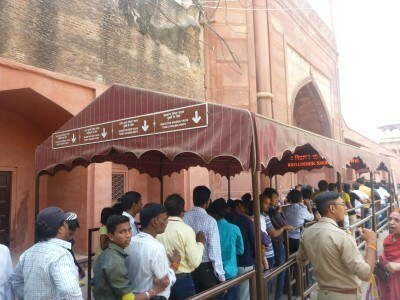 There are four different gates, the most popular entrance seemed to me to be the West Gate. On arrival, there were lots of people about, but not as many as I had expected. 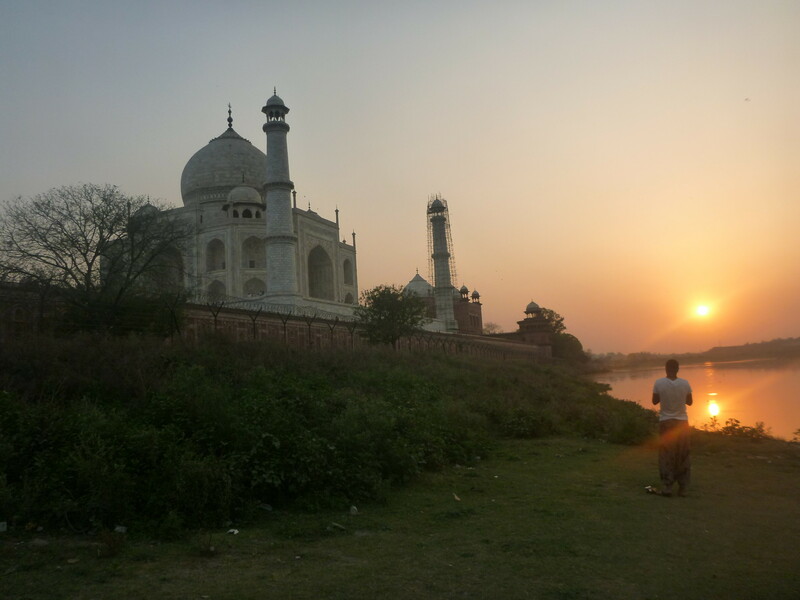 Lots of people come to the Taj Mahal for sunrise. 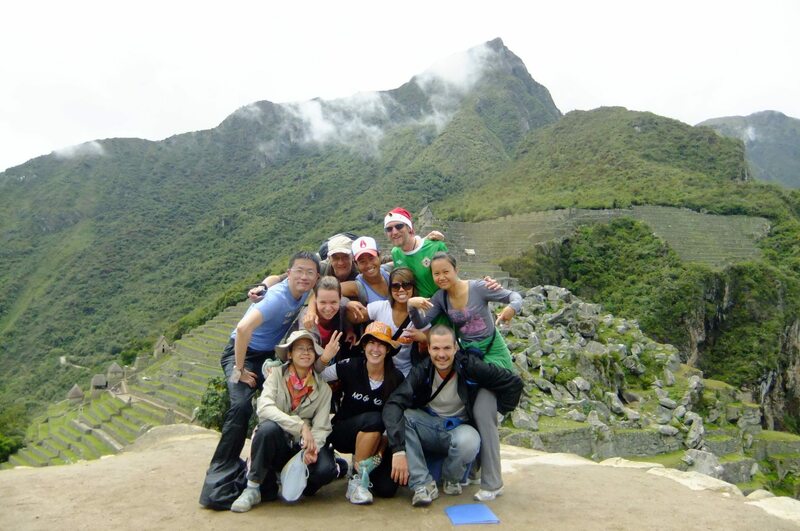 I had done sunrise/mistrise at Machu Picchu, Angkor Wat, Sydney Opera House etc. so this time I just wanted to get in and see the thing. I noticed that lots of people go in for sunrise and stay from 6am – 9am maximum and then head out, so as I was going in, lots of people were still coming out. I was there on a Saturday too which may be busier. 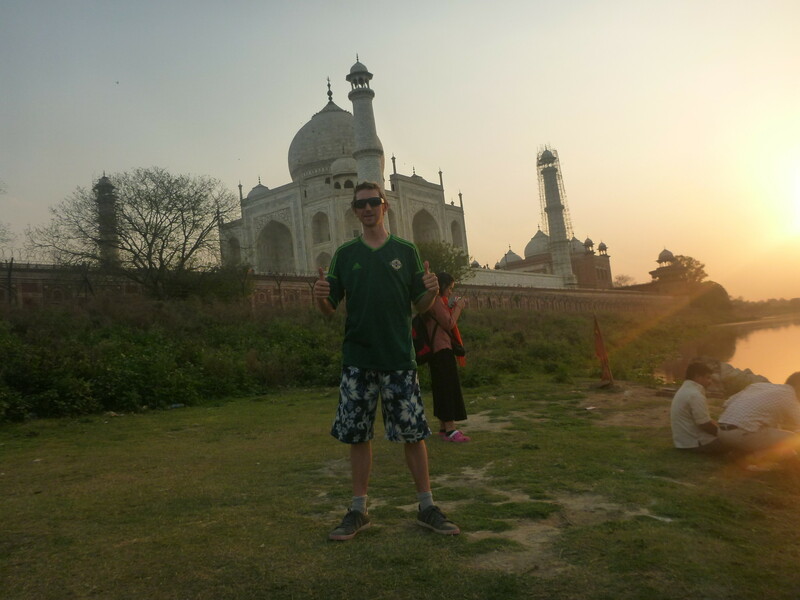 I later watched sunset over the Taj Mahal too, but it was part of a cool secret free tour from the hostel. Then by coincidence my backpacking buddies Terri and Joel who I met at Apple Hostel Bishkek (Kyrgyzstan) turned up so we got a photo together! 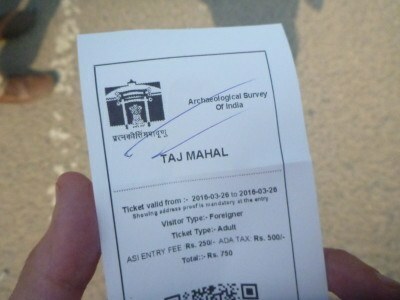 Your entrance ticket costs 750 Rupees for foreigners and this comes with the shoe covers and a bottle of water. You get a white piece of paper which entitles you to one entry only, on one day. My guide Akshay tells me information the entire way through the tour. He’s an expert in the field of course and can answer any question. 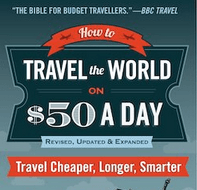 It’s been covered endlessly on travel blogs and websites before so requires no huge introduction. 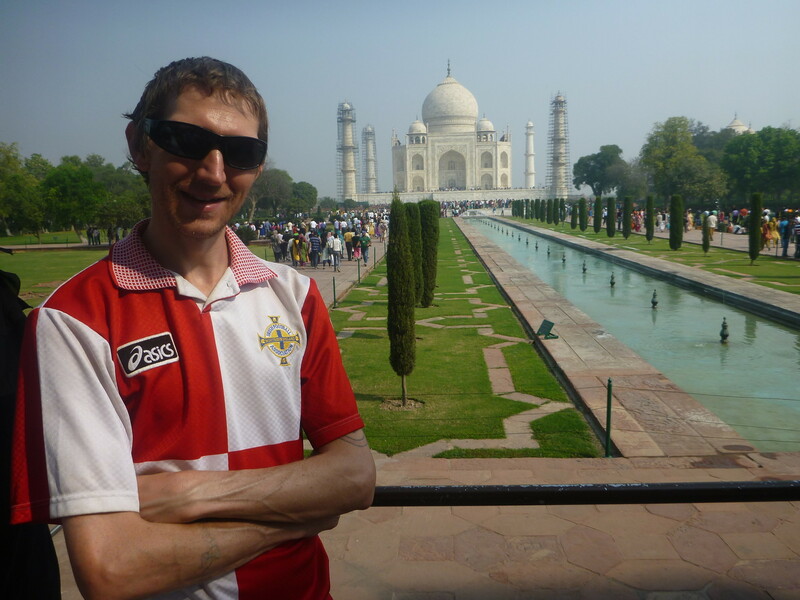 What’s important is that the Taj Mahl is a tomb. Inside are the bodies. 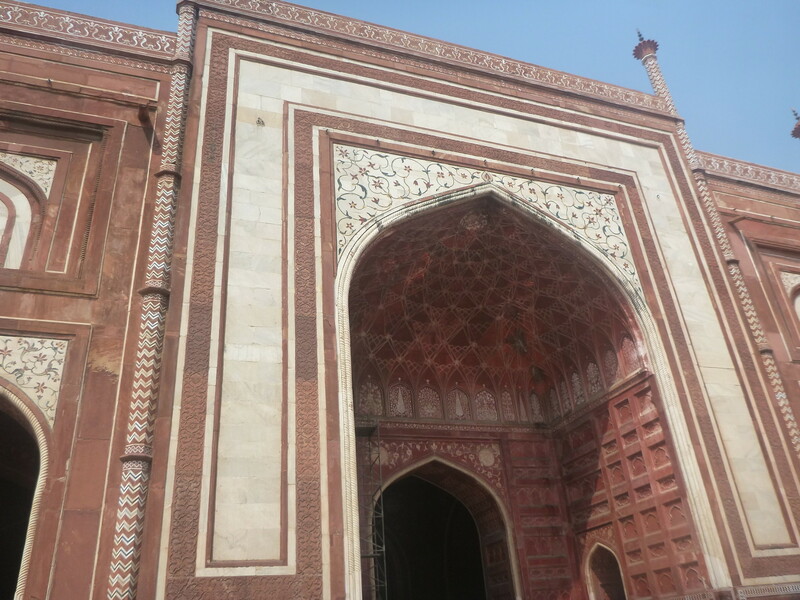 Shah Jahan built it for his wife as a Mausoleum. In fact, he built it for his “favourite wife”, a fact that I did laugh at. Her name was Mumtaz Mahal and the entire ivory white marble gem is built only for her! Shah Jahan is also buried inside. 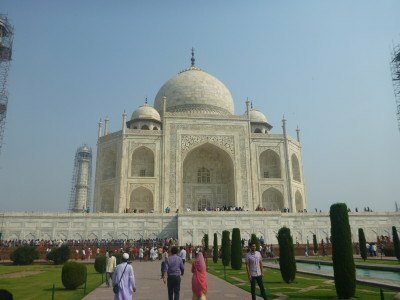 Those are the two tombs inside the actual main building. What’s also important is the symmetry. The Mosque on the left hand side (as you face it) is an actual Mosque. All Mosques must face to Mecca in Saudi Arabia. However, the building on the right hand side looks like a Mosque, but it can never be a Mosque as it doesn’t face to the Mecca. Therefore the building on the right was basically just built to make the complex symmetrical. Inside the Taj Mahal itself it is small. 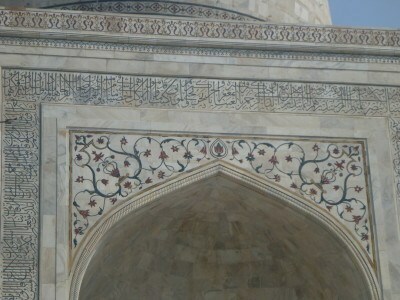 It is merely just the tomb with the two gravestones. Officially photos are banned inside, but everybody takes them anyway. 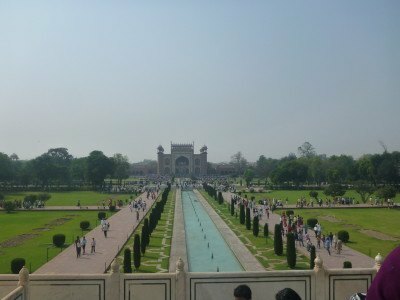 Out the back of the Taj Mahal is a view to the river. It’s very peaceful and solemn here. 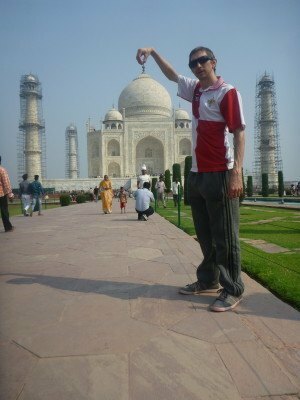 Akshay also tells me about some optical illusions at the Taj Mahal. 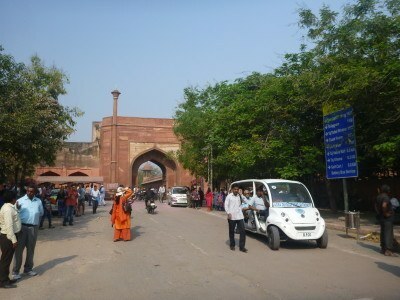 The entrance gate for example looks smaller than it is, the Taj Mahal itself is tiny inside yet looks massive from the outside. 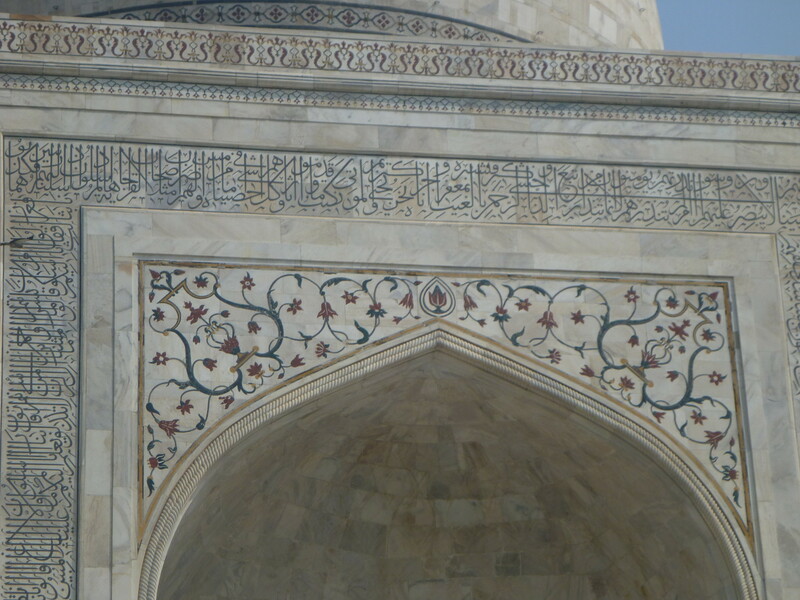 The writing from the Qoran on the front looks like it is the same size the whole way round – but it’s not. The writing is larger at the top. The minarets to either side were being renovated on my trip here. 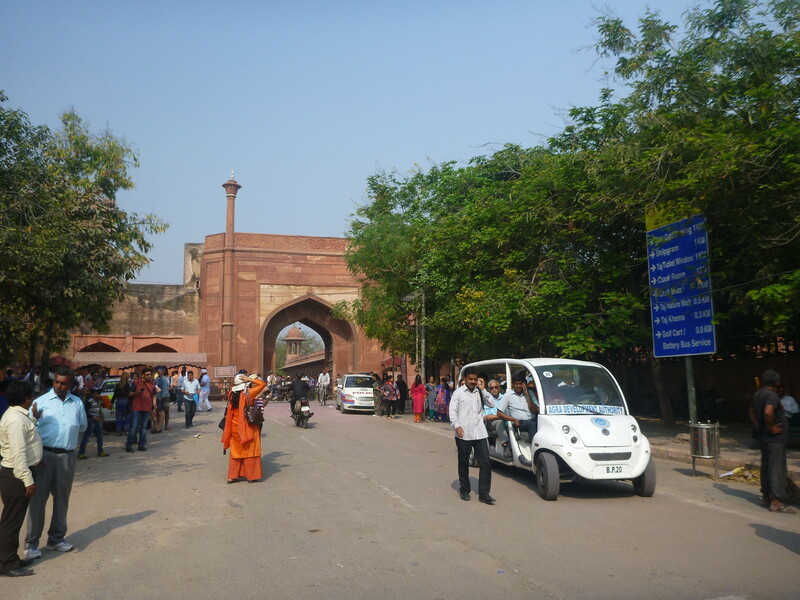 The tour lasted around an hour and thirty minutes – literally most tourists are in and out and some even day trip it from Delhi and don’t stay in Agra. 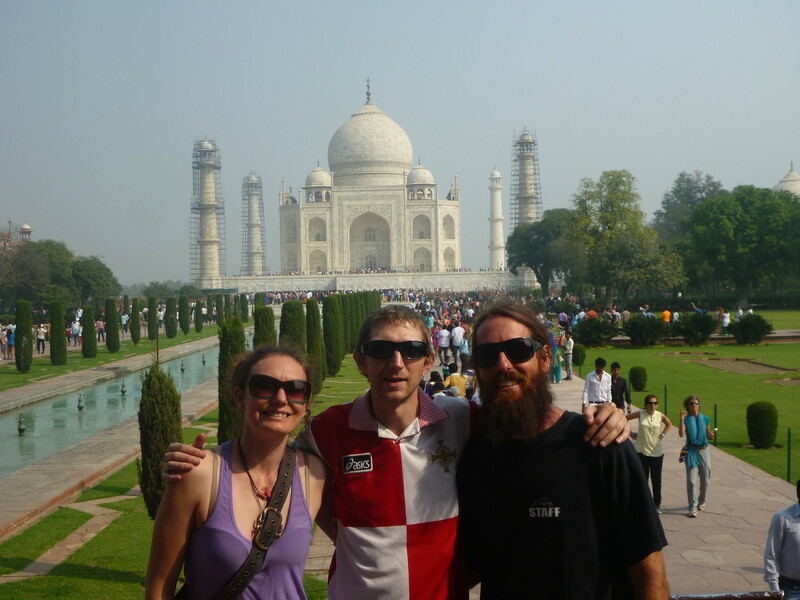 As a bonus, the Big Brother Hostel organised a secret sunset tour so we got to see the Taj from the other side too. That’s right! You did skip out on Chichen Itza! Damn. 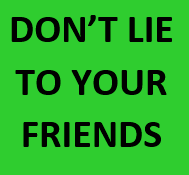 You would have hit all 7 Wonders of the World without intentionally trying to do so, either. 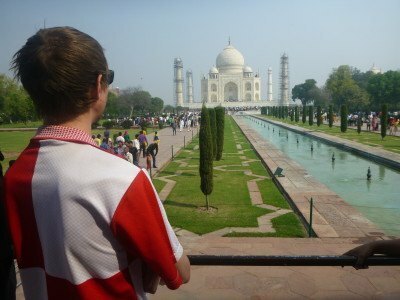 I only know one person who has seen all 7 Wonders of the World. After him, I know one couple who have seen 5/7 of the Wonders. 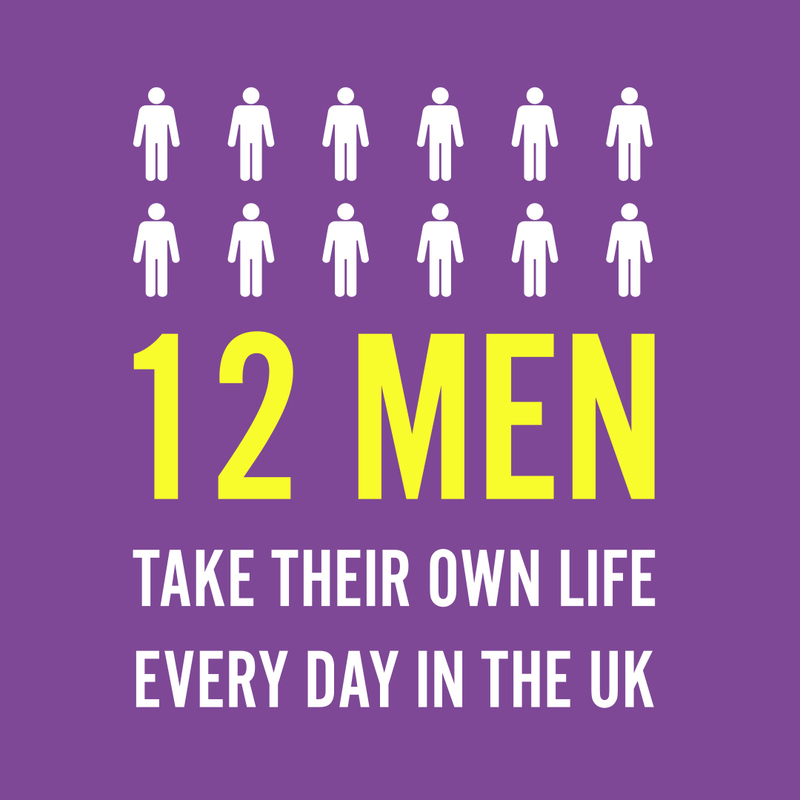 It’s not as easy as a task as one would think. I don’t blame you for thinking that Chichen Itza is “too cliche” for travelers. I am still trying to figure out how it even ended up as “Wonder of the World” when you have Tikal not too far away in Guatemala. 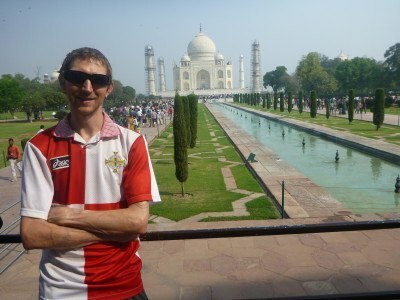 But that is a discussion for another time as I don’t want to digress and take away too much from this Taj Mahal post. Very glad you made it here at least! Even the sunset tour behind the Taj Mahal is one cool thing that you did here that most tourists aren’t even aware that you can do.